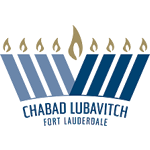 Chabad Lubavitch of Fort Lauderdale is part of the worldwide Chabad Lubavitch movement. Inspired and directed by the Rebbe, Rabbi Menachem M. Schneerson, of righteous memory, Chabad Lubavitch of Fort Lauderdale, headed by Rabbi Moishe Meir Lipszyc, began operating in 1990, renting a small store front on Galt Ocean Mile. Over the ensuing years, steady growth compelled Chabad to expand its premises and build a permanent community center. Chabad Lubavitch of Fort Lauderdale has furthered its services and programs by establishing additional centers in the Dowtown Las Olas and Lauderdale By The Sea communities. The Chabad community continues to grow, attracting Jews from all walks of life, particularly with no previous affiliation. To read more about Chabad Lubavitch, click here.